Life goes by fast when you’re a mom. Make the best use of your time with these planning tips to help you achieve the life you dream of for you and your family. 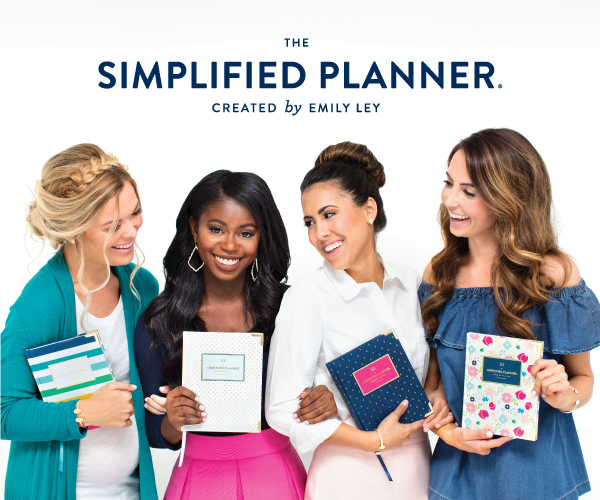 Start off by comparing the best planners on the market and see which tool can help you on your journey to your dream life. With an extensive to-do list and a chronic illness, it’s easy for me to get overwhelmed by all I want to get done. In the past few years, I’ve found that investing the time to document my goals and plan my days has helped me increase my productivity and start achieving the life I’ve dreamed of. I’ll admit I’m a planner junkie. I can’t function without my planner. Between brain fog from Rheumatoid Arthritis, 3 kids schedules to juggle and a mind that races all day long with ideas for my family, home and blog, I rely on my planners and bullet journals to corral the chaos so I can get things done. Here are some of my favorite planning tips, resources and articles I’ve written to help you on your journey to achieving your dream life too. What are your goals? What does your dream life look like? What is your biggest struggle in achieving your goals? What has been your biggest accomplishment so far? Tell me how I can help you on your journey to achieve your dream life. I’m currently using Powersheets intentional goal planner to cultivate and pinpoint the goals most important to me in this season of life. 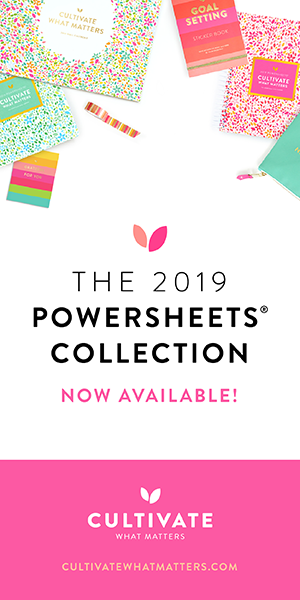 The Powersheets helps me identify my goals, turn them into an action plan to get it done and encourages me to fit them into my current commitments so I don’t lose sight of them. Once the action plan is identified, I schedule my tasks to get it done into my Daily Simplified Planner. This is a winning combination, both products encourage and inspire me to focus what really matters in my life, give myself grace when things don’t go perfectly, to make progress little by little and to cherish the journey. Getting Things Done – the Art of Stress-Free Productivity* by David Allen – a thorough and comprehensive system for capturing all your ideas so you can make progress on your projects and goals. 7 Habits of Highly Effective People* by Dr. Stephen Covey – a life-changing book to help you deal with determining your goals, roles and how to deal with difficult situations and people (FREE with Audible Trial). Read my full review of 7 Habits of Highly Effective People here. Say Goodbye to Survival Mode: 9 Simple Strategies to Stress Less, Sleep More and Restore Your Passion for Life* by Crystal Paine (blogger at Money Saving Mom) – a must read for overwhelmed moms to stop stressing and be more intentional with your time and talent (FREE with Audible Trial). Read my full review of Say Goodbye to Survival Mode here. Cultivate* by Lara Casey – an inspiring book encouraging us to cherish the season we’re in, from starting new and exciting projects to the messy middle while we work through our problems, it’s all part of the growing process as we cultivate the life we want. Achieving your dream life takes planning, finding resources that keep you motivated along your journey and reviewing your goals to make sure you are still on track. You might think your dream life is beyond your reach but breaking down your goals into manageable pieces and celebrating your small victories along the way will help you see that your dream life is within your reach, it just takes hard work, dedication and a clear vision. I’ll be updating this page with more articles to help you along the way, so I hope you’ll check back with me and tell me how I can help you on your goals. Subscribe to my Newsletter and Get More Planning Freebies and Tips! It’s called Ultimate Productivity Bundle*and it was created and curated by people with real life responsibilities just like you: they have families, work part- to full-time jobs or run businesses, don’t have personal assistants or the budget for hiring lots of extra help. They want to help you (and themselves) conquer your to-do list, free up more time for yourself, and reach your goals. I’m excited to announce that my newest product, the Thrive With Chronic Illness Planner + Journal is included in the Ultimate Productivity Bundle*on sale for a limited time! 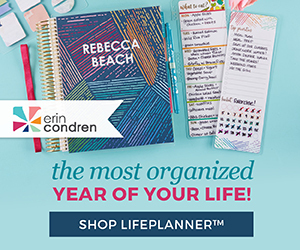 This planner is a labor of love and brings one of my life goals to reality. Check out the entire Ultimate Productivity Bundle* . At only $37 for over $1,500 worth of resources, It’s an incredible deal for everything you get and look at these free bonus partners (I know you’ll want that Cultivate what Matters goal setting sticker book)! I was never curious about productivity and planning until I started blogging! It adds joy – but it also adds many things “to do” as well. I have never read Steven Covey’s 7 Habits and I’m going to go put that on my library list now! As you know, I am also a big Covey fan and love that you described 7 Habits as life-changing. It was for me, too, when I read it about 25 years ago! With all my planning, I am still feeling overwhelmed (and am still perpetually behind!). I will take a look at the resources you included here…though I suspect my main problem is simply that I am trying to do too much! Thanks for the food for thought – happy new year! Great article Sue, I am still in the process of getting my 2017 goals onto paper and the complete capture list of all the ideas floating around my head. I just said that the other day too, in spite of my planner addiction, I am always behind too and often overwhelmed. I think I take on too much too. I used your index card idea to jot down my individual project ideas and monthly goals. I really need to stick to completing the card versus getting distracted by everything else that pops in my head.